It blows my mind at just how popular old 911s have become over the last five years or so, and also the stratospheric prices they’re now commanding. And it’s not just happening in the US either; you could almost call it a global phenomonen. I guess the older cars did so many things well that owners can’t resist hanging onto them, perfecting, restoring and sometimes even modernising. And this 1980 911SC that I came across at Canepa Cars & Coffee is a perfect example. I’m a sucker for an RS front bumper with its distinctive square front grille, and it somehow looked even cooler with this very ’70s shade of brown. It was also cool to see how the US cars differ from the European ones I’m more used to seeing in Japan, details such as the protruding bumpers and the curious headlight bezels. This particular car was also fitted with GE Nighthawk LED headlights which provide the latest lighting technology in a neat, retrofit package. And that’s one very attractive aspect of owning this generation of car; you can maintain a classic look but spice it up with modern touches to improve the performance side of things. It’s something this particular 911 does rather well, and the sort of thinking that I’m trying to apply to Project GT-R.
I’m guessing the steering wheel was custom upholstered as that shade of brown ties the exterior hue into the cabin perfectly. 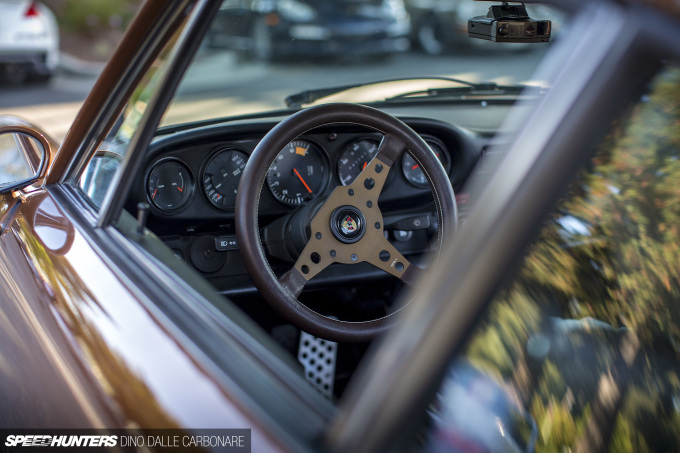 Also note the rotated tachometer so that the redline appears at the very top of the dial, an old school race car trait. 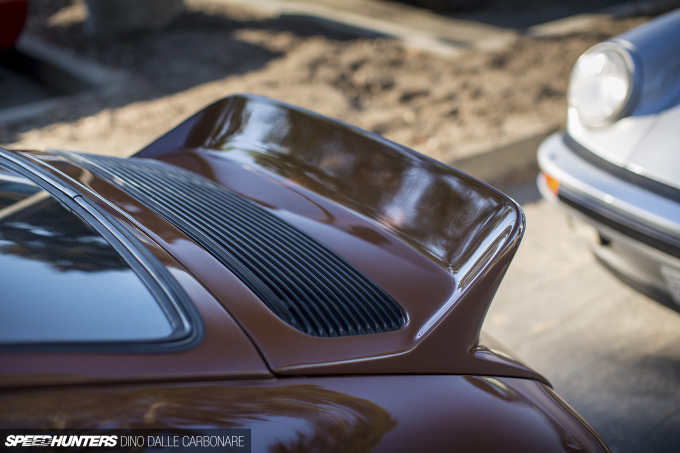 But the must-have touch on a car paying homage to the RS is of course a ducktail! I’m going to stop with the spotlights for now and get into the proper coverage of the event. 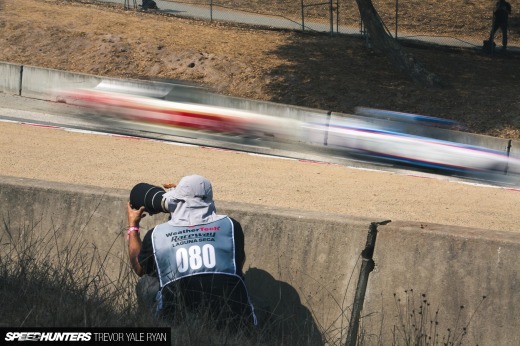 Back soon with more from Canepa! 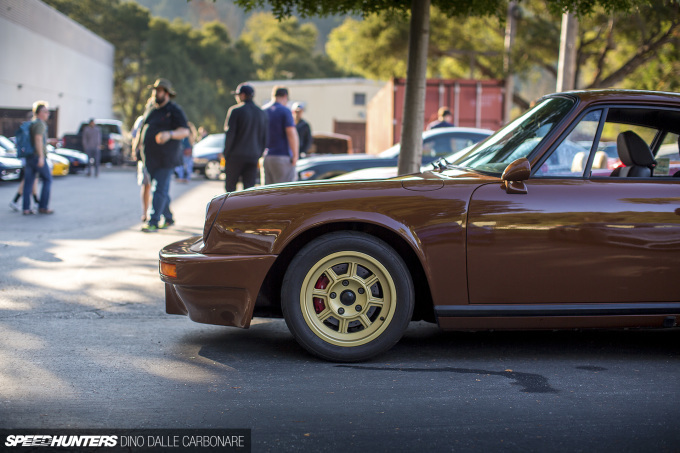 Basically a brown Magnus Walker clone isn't it? Those Group 4 wheels look SO good. The gold and brown really works. Thanks for the kind words and great shots!! The wheel is actually a vintage NOS Victor steering wheel and it was surprisingly upholstered in that brown from the factory. Just a happy coincidence when I purchased it. I like Magnus' stuff, but this isn't a clone, nor would it ever be. leftcoasterik Your car turned out beatifully! 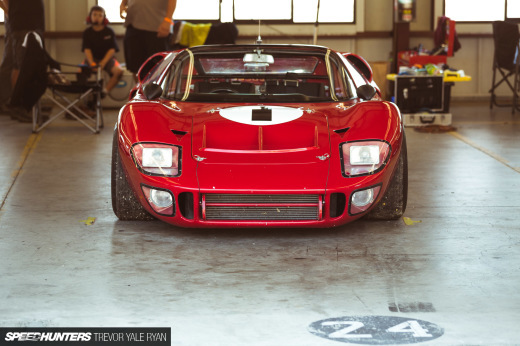 What size are those Group4 wheels? I'm not sure if I am a super car geek but I picked up on something cool and hopefully the owner is on here and can chime in if I'm correct. If you notice the first picture shows the license plate "CPTKAOS". In the movie Cannonball Run when JJ and Captain Kaos (Victor) were testing cars for their coast to coast dash, they were testing a brown 935 wide body Porsche. They were running fast when they came around the corner to a police barricade and abruptly crashed. 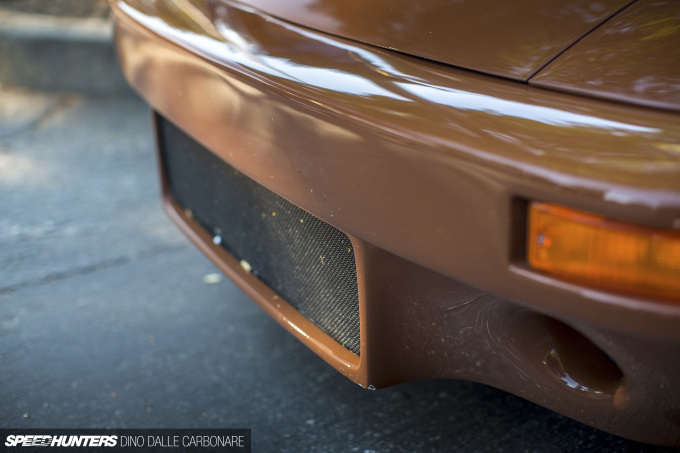 That car was a very similar brown and was so cool. Perhaps that is some tie in to this lovely shade of brown and license plate????????? Sly14u Good catch! My english buddy Dave Malloy actually pointed out that scene from the movie when he first saw my car. I had forgotten about it and actually bought the movie to watch it again. So he kind of named it, and it just stuck! Sly14u and the color on my car is factory. 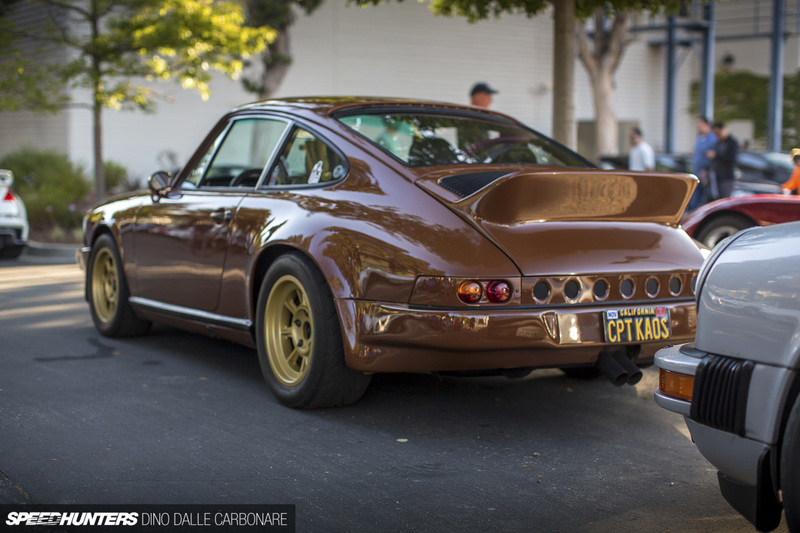 It is called "Bitter Chocolate"
My word..this has to be one of the best looking 911's ever..right up there with Magnus Walker's 1972 72STR 002, and any one of Singer's cars. @Nick thanks for the kind words! Hard to imagine that, at one time, 911s were just toys for the rich kids, dudes with popped collars and penny loafers. cptkaos number plate, very contradictory to the build quality of the 911, love the wheels, and the drilled out holes in the rear of the car. leftcoasterik My pleasure And wow what a coincidence on the steering wheel! Yeah. Looked black in the pics. Thank god I have a brown car! I saw Captain Chaos and I instantly was reminded of the 911 that Burt was going to use in the Cannonball Run. Nice retro homage to the R / RS. The red brake calipers though.... Would look better ( more period correct ) if black or Wurth gold. Matt_Redondo Wow, that was awful. The unforgivably cheesy music, the atrocious hero car. They didn't even kill the Porsches in satisfying or even particularly interesting ways. The bit with the ramp was certainly creative, but ugh. I am an unhappy camper. Beautiful... minus the headlight lenses. I can't stand seeing plane, crystal clear lenses on vintage cars. Looks so rice. 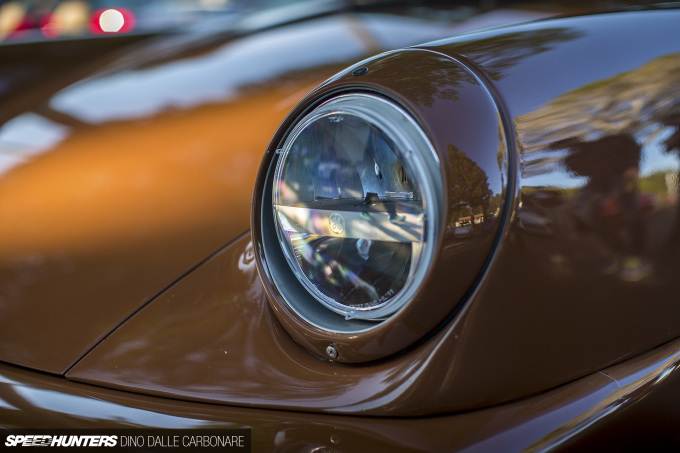 Can't someone build a projector kit for vintage cars with the proper lenses? Those bumpers looks like a coffee table. my neighbor's mother makes $72 /hr on the computer . That 959 was in the paddock at Laguna all weekend. This was probably the fifth or sixth time I've seen Canepa bring some 959 to the Motorports Reunion over the years. And they are all different. He definitely is the Lord of 959's. I was also lucky enough to have it drive by me on one of the access roads all sinister burbling coming from its exhaust.